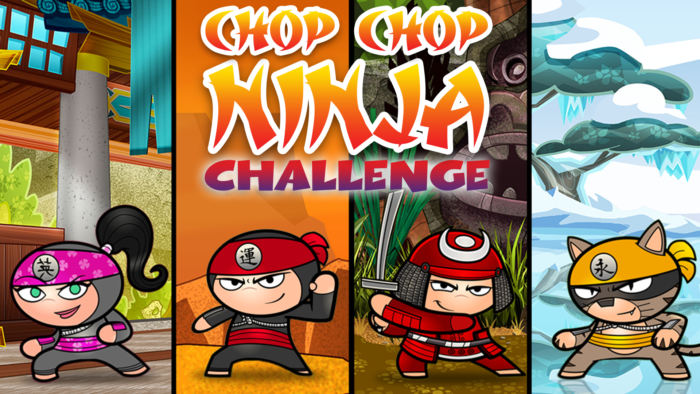 To brush up on their skills, our same four ninjas, Iro, Jo, Tetsuo and Neeko, are given challenges they must complete in three tries. If making mistakes is how you learn, these guys will be geniuses in no time! 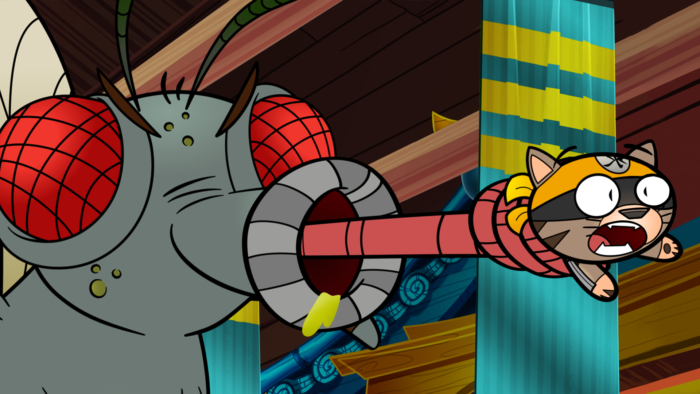 The episodes are nonverbal slapstick comedies that showcase the audience’s favorite characters in action. Three strikes and you’re out! Master Enoki welcomes the players and invites them to choose their in-game character (Iro, Jo, Tetsuo or Neeko). Two different games are available to the players. 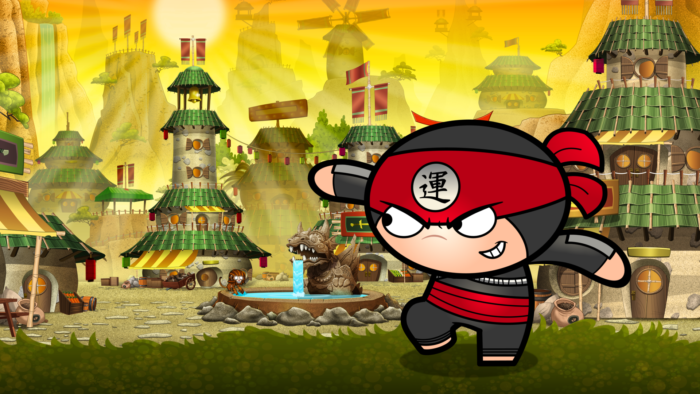 The games correspond to two essential ninja competences needed to become a Chop Chop Ninja. They are STRENGTH and SKILL. In the fighting game, players must defeat enemies and collect power ups, weapons, and health. 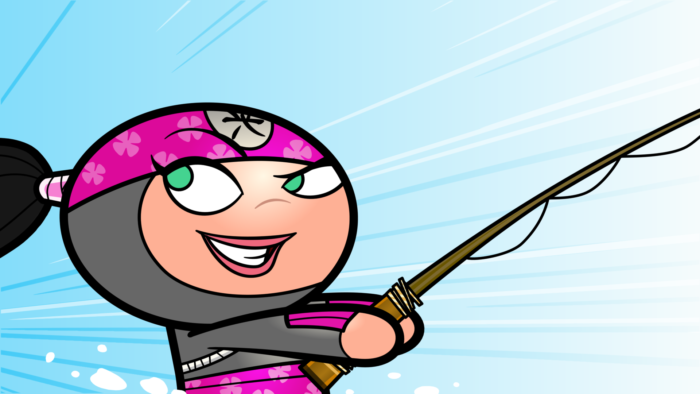 The goal is to stay alive as long as possible by fending off more and more attackers. The second game is an infinite runner with an action platform twist! 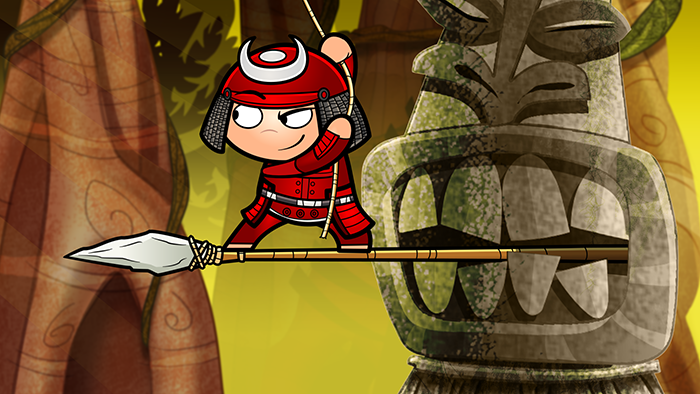 You have to get as far as you can by running, jumping, attacking baddies and avoiding treacherous obstacles.